King Meiler - Remoulded tyres. Developed and manufactured in Germany. The new Sport1 transmits optimal engine performance of your car on the road. Sportiness and power are perfectly utilised. Excellent adhesion up to the border area. Improved adhesion in curves. Smooth abrasion during the entire service life. *Prices include VAT and delivery within Ireland. 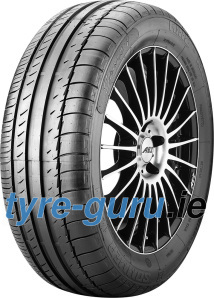 Free shipping only for 2 or more tyres.